Like most children, my daughters LOVE Dr. Seuss! As I planned for our Preschool Weekly Theme Units, I knew that I had to include a Dr. Seuss Week in my plans. He has so many great books that we could complete activities for! 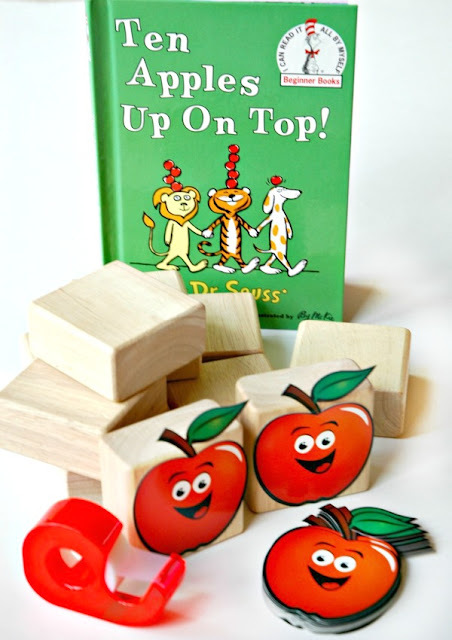 While Ten Apples Up On Top may not be one of his most popular books, it is a favorite of many preschool teachers and homeschoolers. 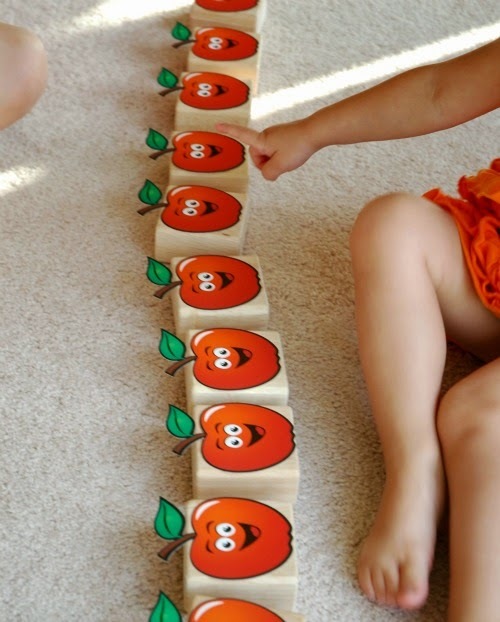 It is a wonderful book to encourage children to count, with bright red apples stacked up on the characters' head. 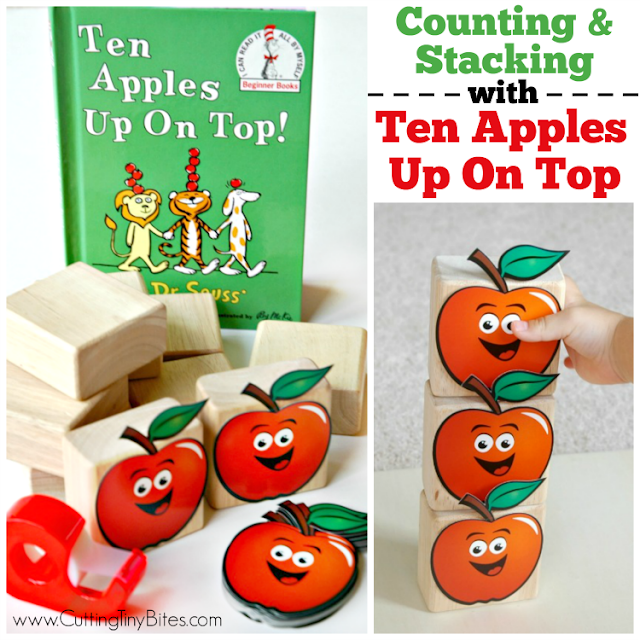 I'm sure that your children will enjoy Counting and Stacking with Ten Apples Up On Top just as much as mine did! 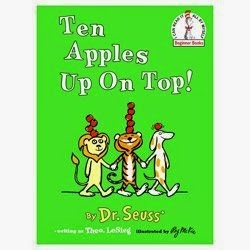 Ten Apples Up On Top is about a lion, a tiger, and a dog who are all friends. They challenge each other to stack and balance more and more apples on their heads until the whole endeavor ends in a giant apple mess! I love the length (shorter than most Seuss!) and the counting practice that it invites, as the stacks of apples get higher and higher! Here's how to make and stack your apples. Take 10 wooden blocks that can be stacked. Add little apples to them. 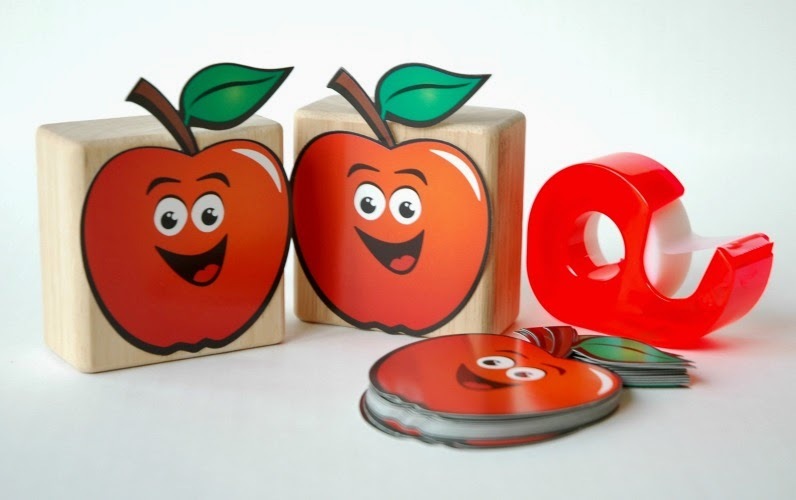 I used these bulletin board accent apples (found at a craft store, but these from Amazon look similar), Scotch tape, and some blocks from our (oh-so-popular-and-versatile) Melissa and Doug wooden block set. Use what you have. You could print out some pictures of apples from the computer, or just use red circles cut out of construction paper. We did some basic counting practice before we read the story. Maggie can recite numbers, but still gets off when practicing one-to-one correspondance. Luckily, she has a big sister who is more than happy to help! Then we read the book, adding apples to our stack as we came to them in the story. The girls took turns, and we had to start over once, but eventually had a stack of 10 that they got to gloroiusly knock over at the end of the book. Easy, huh? 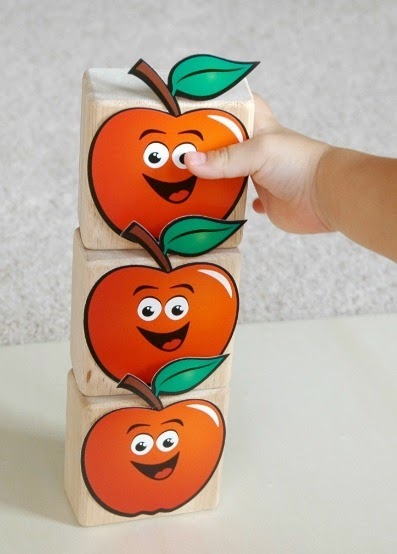 My girls loved this activity, and played with their apple blocks for a good part of the day. Make sure to check out the next activity in my Dr. Seuss series, a fun gross motor activity using the book Hop on Pop, or read about our entire Dr. Seuss week! 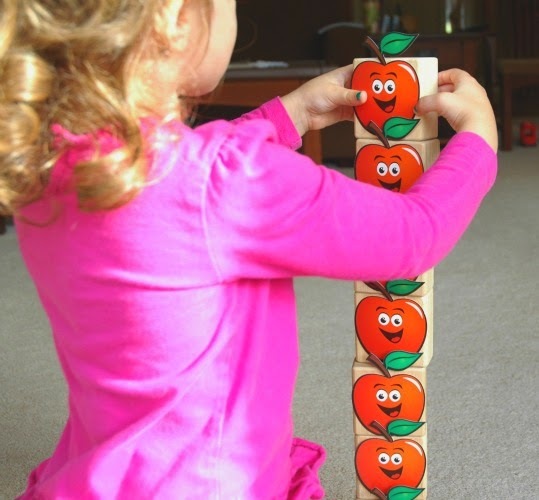 Ten Apples Up On Top Counting and Stacking. 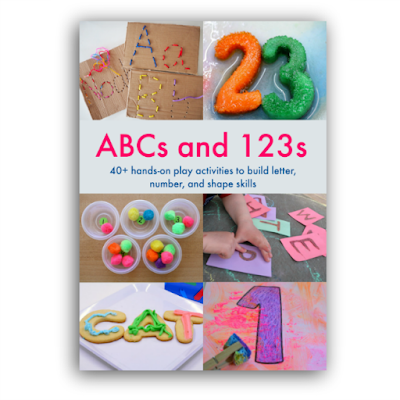 Simple Dr. Seuss book extension and math activity for toddlers and preschoolers!